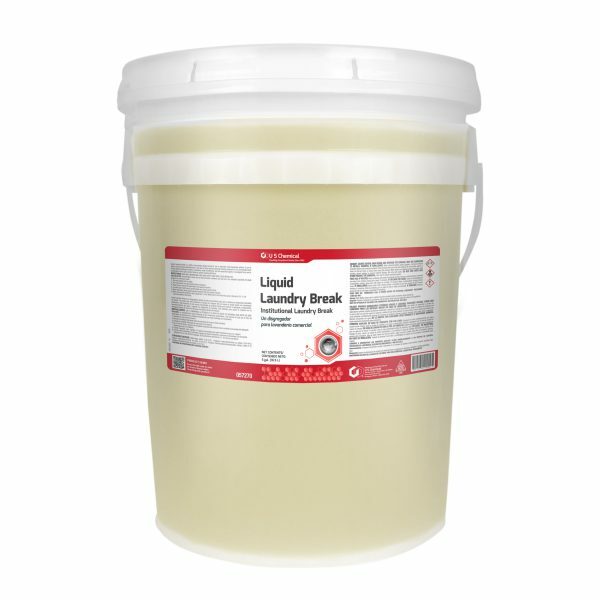 Liquid Laundry Break is a highly concentrated alkaline break for use in automatic liquid dispensing systems. It can be used to boost cleaning effectiveness in any type of liquid laundry automatic feeding equipment. It is a concentrated blend of high alkaline detergent builders, emulsifiers, water conditioners, and soil suspension agents. It is designed to be used in combination with Liquid Laundry Suds for optimal cleaning efficiency.